1. Respect others and yourself. 3. Follow Directions the first time they are given. Just click the text* to change or modify the classroom rules, no need to download extra fonts! 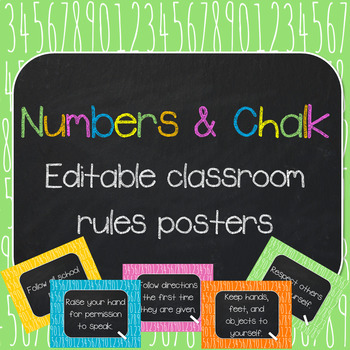 These posters are easy to print on standard copy paper, laminate them for years of use!